Stop Door Kick Ins Now! 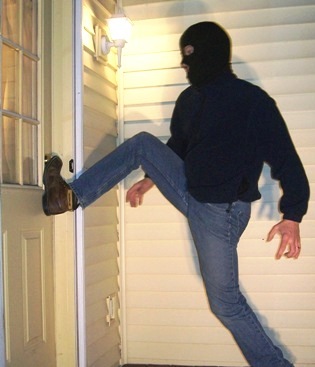 Over 70% of home invasions happen through the front door. The door frame is the weak link in any homes perimeter security. A criminal can be inside in seconds. Don’t let them get the jump on you. Protect your doors now. Starting at $89 you can reinforce your door and protect yourself from attackers. Make your door frames kick in proof now. Our door frame reinforcement install into the door frame easily and blend in like they don’t exist. Our cold rolled 14 gauge steel door frame reinforcements are anchored into the king stud of the door frame with nine three inch anchors. What are you doing to protect your family? In modern home construction the door frame is constructed where the deadbolt latched into a 1″ thick peice of soft pine. The grain in the pine runs up and down in such a way that minimal force is required to separate the wood along the grain causing the door frame to fail and allowing entry. For years locksmiths and security experts have recommended replacing the 1 inch screws that fasten the strike plate to the soft pine with 3 inch screws that can reach the studs behind the door frame. In recent years, as door kick-ins have become more and more common, there have been many security devices to hit the scene. Devices such as the door reinforcement plate, which is a 27 inch, 14 gauge steel strike plate have been used to replace the standard 2 inch strike plates. 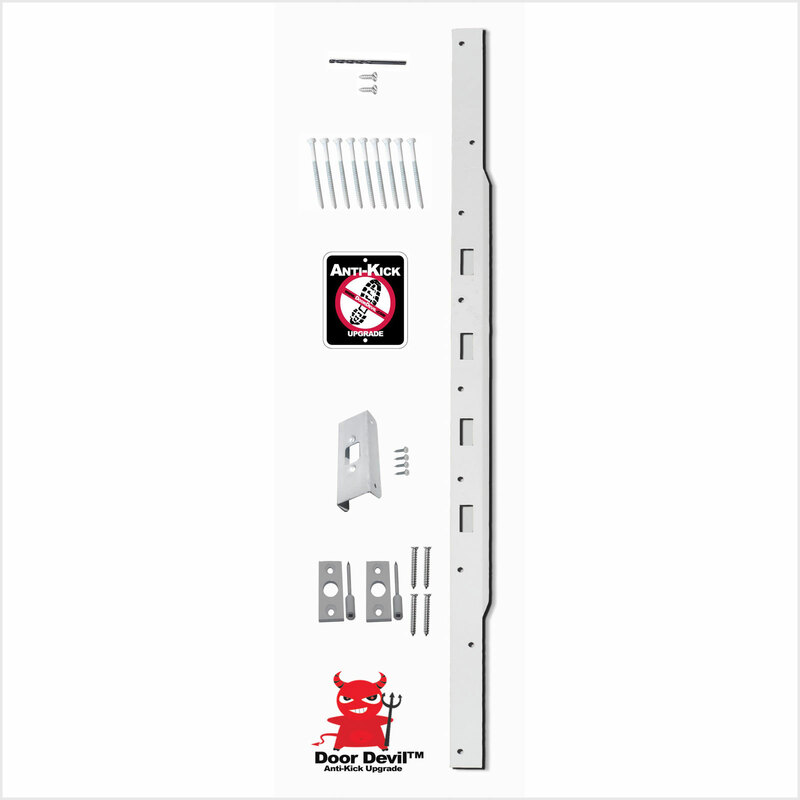 These reinforced plates are anchored to the solid door frame with nine 3 inch screws. With the door security in place, it would require as much force to take down the entire door frame down to kick the door open. Human power is no match to these door frame reinforcement. Get a free estimate now! 512-800-3030!